Vita Charge® is now available in seven formulas allowing you flexibility in how the product is administered. Vita Charge Drench, or “the green stuff” as some refer to it, has been one of the most popular Vita Charge products. However, with the introduction of Vita Charge Liquid Boost, which can be used as a drench, top-dress or mixed with water in a medicator or water bucket, people are asking what the difference is between these two products. As you can see by looking at the chart there are only a few differences between the products. The extra enzymes and probiotics in the drench can cause it to work faster in cattle. 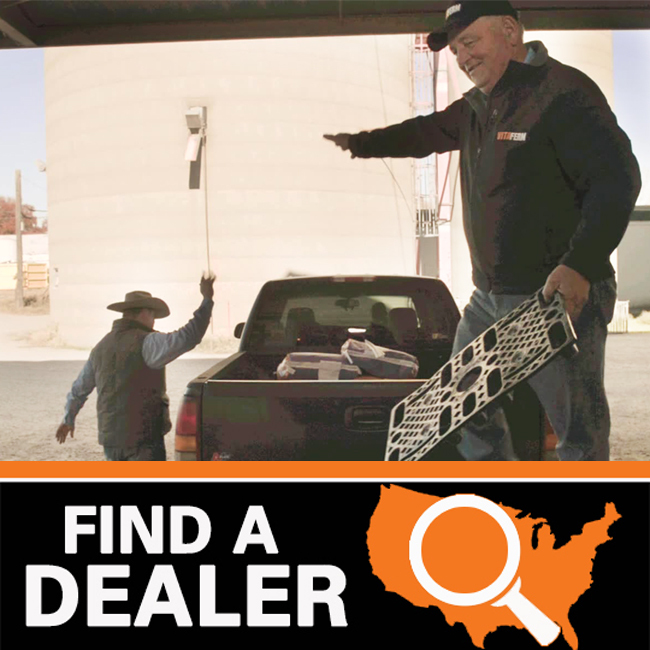 However, for many dealers that are only interested in carrying one product, the flexibility of being able to use Liquid Boost on any species is a major advantage. Another thing to take into consideration is the practice of drenching or using paste on livestock is being banned at many shows. Liquid Boost can be added to a water bucket allowing you to still administer Vita Charge within show guidelines. It is best to begin adding Liquid Boost to your water buckets at home the week before the show so livestock get accustom to the berry flavor and smell of Liquid Boost. 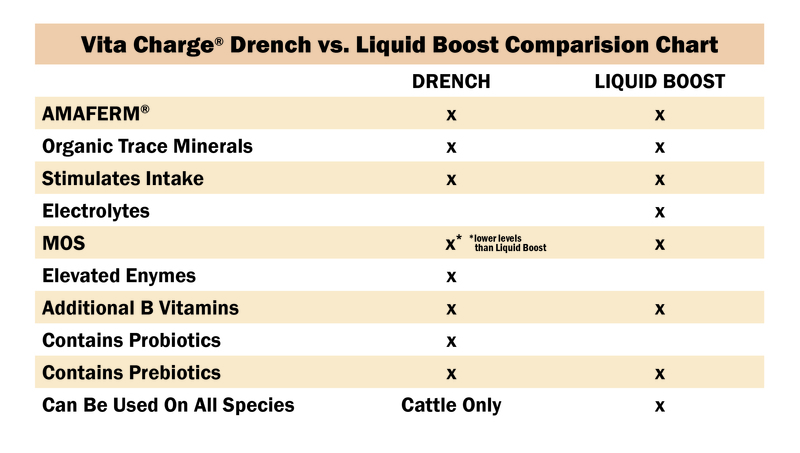 On the feedlot and stocker side, most customers still prefer the Vita Charge Drench. This could be partially attributed to the fact that drench is about $0.41 per dose cheaper than Liquid Boost. However, as end users become more familiar with Liquid Boost and its benefits it will be interesting to see which product customers will gravitate towards. No matter which product you select, you can ensure that Vita Charge will support microbial health and create measurable improvements in appetite, health and performance of stressed animals.